I do agree with Ridley that evolution is a general theory which is “not confined to genetic systems, but explains the way that virtually all of human culture changes” (p.2) and even that there is much evidence for culture-driven genetic change in the human species (Chapter 5). He describes the process most often as one of “trial and error”. I would be happier if he would make the metaphor explicit and say like trial and error because the latter is a psychological not a sociocultural process. 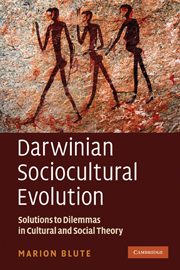 Cultural or sociocultural evolution takes place by cultural transmission, variation and selection. I also agree that divisions of labour within individuals and specialization and trade between them (which incidentally need to be distinguished) are important in evolution, even biologically. They may be involved in the origin and evolution of gender differences and relations for example. Ridley is not always consistent. For example, one of his most repetitive themes is that evolution is a “bottoms up process”. It is not always clear what he means by this – sometimes he seems to be reaching for what evolutionists call “populational thinking” i.e. evolution is not about individual anythings but about populations of such. Anyway, for a “bottoms up” guy I found it strange that he attributes variation and change in monogamy and polygamy in human history to its “beneficial effects on society” (chapter 5) and the popularity of “fictions” like the mind is because it “preserves the social order” (chapter 8) . Similarly, for one who opposes a “great man” theory of history and the importance commonly placed on the role of leaders in social change I found it strange that when ultimately using Hong Kong as the model of successful economic development in chapter 12, he attributes its success to the actions of a governor and later a financial secretary. Weren’t they leaders? Nor should one take this book as an authoritative source on evolutionary processes.The prologue tells us that evolution is “incremental and gradual” (well, sometimes it is and sometimes it isn’t) and that the genome has “no master gene” (we don’t know whether it does or does not). Chapter 4 generally adopts Dawkins genes-eye view of biological evolution mostly avoiding problems such as all the cutting and pasting that goes on from transcription to post-translation and the fact that recombination in sexual species takes place within as well as between functional units. These mean that there is no genomic unit that is consistently reproduced or replicated, varies and evolves adaptively except, I suppose, base pairs. But somehow the idea of selfish base pairs is less captivating than selfish genes (although Ridley studiously avoids the “s” word, as does Dawkins himself these days). Chapter 2 tells us that morality emerges spontaneously as individuals learn how to “get along” because they enjoy making other people happy! Given that the topic of altruistic (- +) and cooperative (+ +) as opposed to selfish (+ -) and spiteful (- -) relationships are among the most discussed in modern evolutionary theory, it is shocking that Ridley seems blissfully unaware of or uninterested in any of these ideas or research. In fact, this book even misses much discussed things which might be taken to support some of the views it expresses. One of the most discussed topics in recent years stemming from Maynard Smith and Szathmáry’s book The Major Transitions in Evolution has been transitions from prokaryotic cells to the eukaryotic, from single celled eukaryotes to the multicelled, from multicelled individuals to eusocial colonies and so on. Whatever theory one might favour of such transitions, they were undoubtedly bottoms-up events although the majority view is that they then transition to a top down process. Oh well, I hope to have better luck with a couple of other books. Stay tuned but I will be slow – I have other responsibilities.